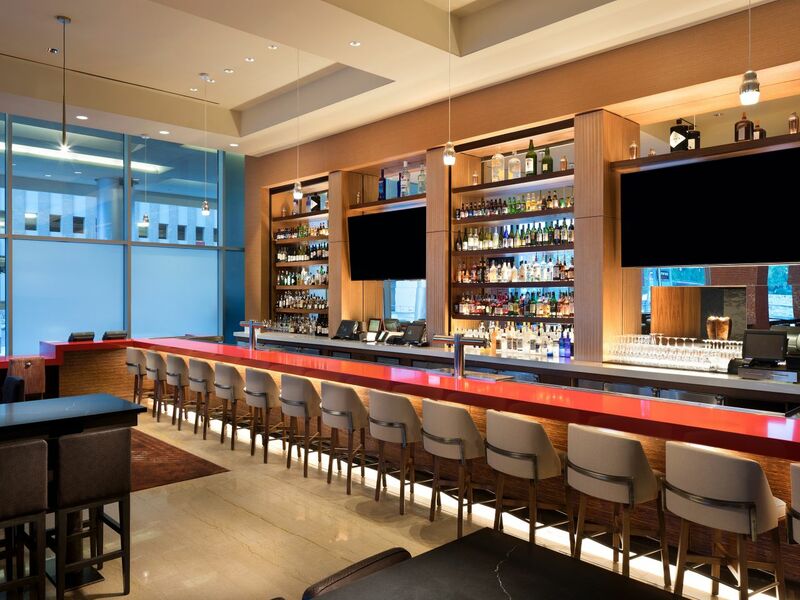 Whether you have a taste for a simple sandwich or a sizzling surf-and-turf combo broiled to perfection, you’ll find that Grand Hyatt San Antonio has every guest’s preferences in mind. If you'd rather dine in the comfort of your own room, Grand Hyatt San Antonio offers an extensive room service menu. Grand Hyatt San Antonio is home to Ruth’s Chris Steak House, a prestigious River Walk restaurant specializing in the finest aged USDA Prime beef. 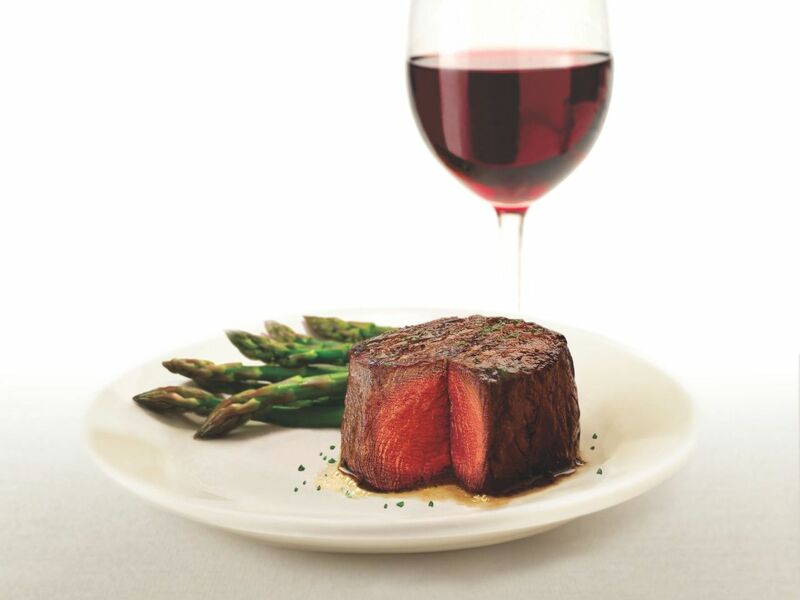 The ever-changing menu features classic steak house entrées alongside innovative dishes and an award-winning wine list. Saturday and Sunday: 7:00 a.m.–11:00 a.m.
Saturday and Sunday: 11:30 a.m.–2:30 p.m. 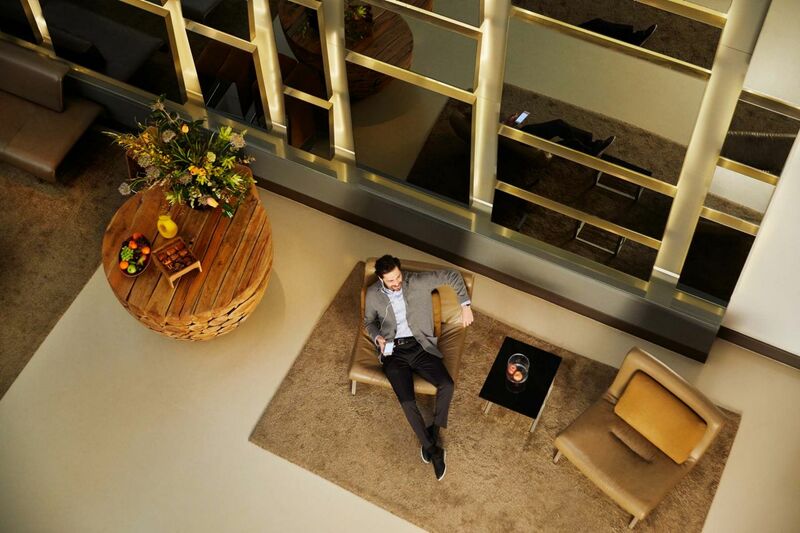 Whenever you need a steamed beverage or a delicious bite to eat, head to Perks Coffee & More, open 24 hours a day at Grand Hyatt San Antonio for your convenience. In addition to a variety of Starbucks® coffee drinks, our welcoming café sells ready-made sandwiches, snacks, and sweet treats to halt your hunger cravings whenever they happen. A casual meets upscale lounge, Bar Rojo is a River Walk hot spot known for its handcrafted cocktails and small plate dishes. Indulge your palate with gourmet pizzas, fresh salads, brisket tacos, and more. Complement your meal with a specialty cocktail, cold brew, or premium libations including Mexican tequilas. In the summertime, enjoy the added convenience of Bar Rojo cocktails at the Pool Bar. 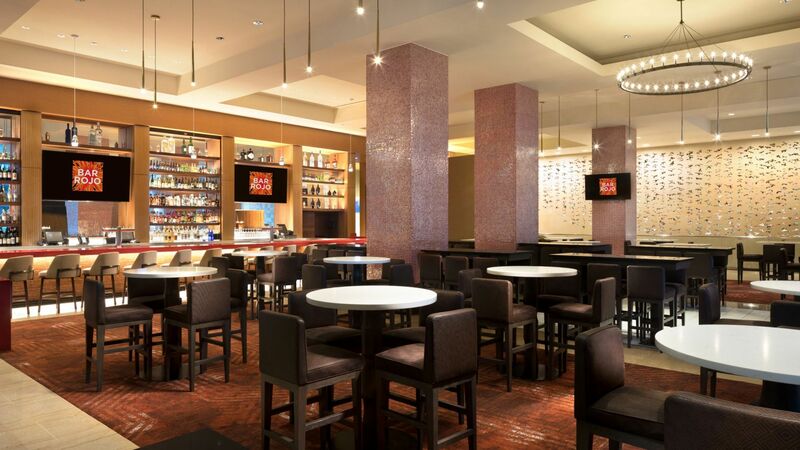 At Grand Hyatt San Antonio, Bar Rojo is the perfect spot to gather and unwind. Saturday and Sunday: Noon–1 a.m.
Saturday and Sunday: Noon.–7 p.m.